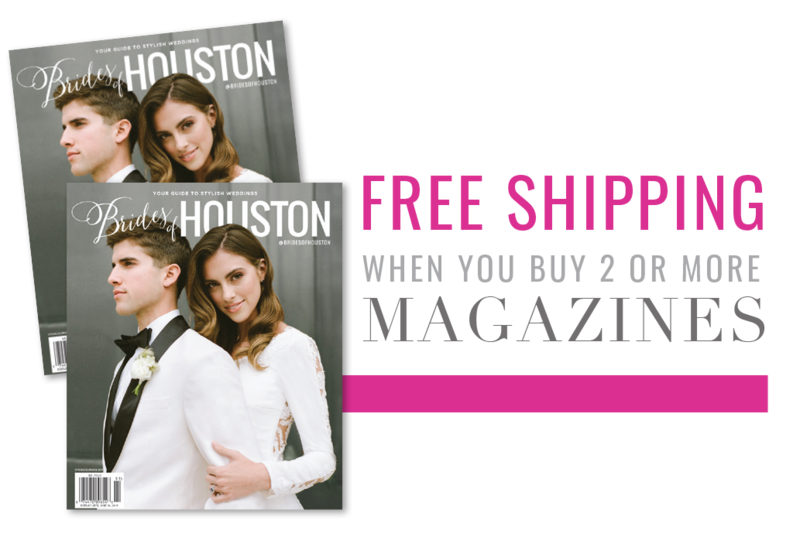 Digital Mag: Check Out Brides of Houston's Inaugural Issue Online! Check Out the Inaugural Issue’s Digital Mag! We could not be more excited that the inaugural Brides of Houston issue has made its debut, and we’re extra elated to share the digital mag with all of our lovely Houston-area brides-to-be! As your go-to guide for stylish Houston weddings, you’ll find ideas, inspiration, vendors and more among nearly 200 pages of this beautiful Fall/Winter issue. 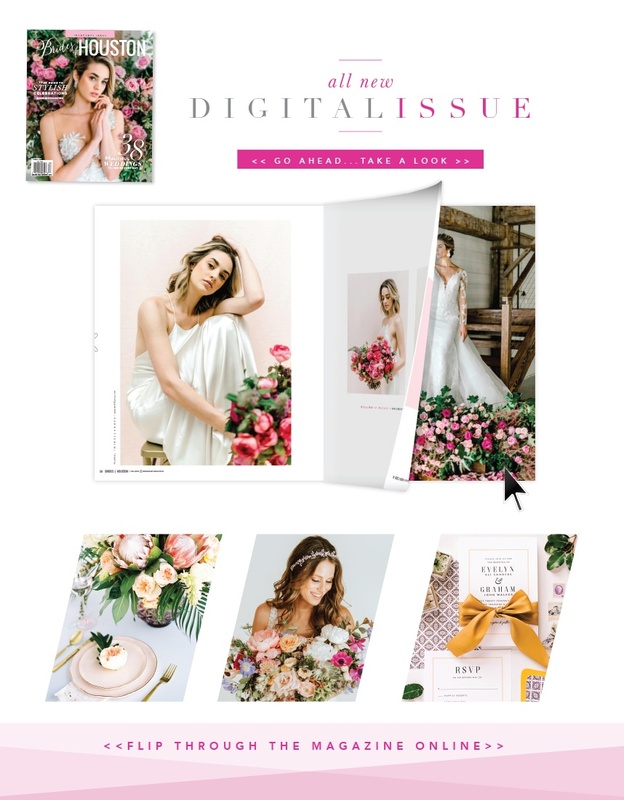 Don’t miss gorgeous styled scenes by Houston wedding planners (pg 20), over-the-top floral designs from the top florists in the city (pg 41), creatively styled details in coordinating color schemes (pg 85), behind-the-scenes walkthroughs of real local weddings (pg 73) and more! Whether you’re looking for rehearsal dinner hotspots (pg 84), a guide to our favorite Houston wedding venues and vendors (pg 181) or bridal gown inspiration from our incredible Wild Rose gown shoot (pg 50), you’ll be able to find exactly what you need to plan your ultimate Texas wedding. Flip through the magazine on your desktop, tablet or smart phone via our digital issue and be sure to grab a hard copy to thumb through as well. This is only the beginning of an oh-so-exciting journey with Houston brides and wedding vendors. Cheers and happy planning!